Damian "Day" O'Sullivan is a troubled young man who blames himself for a tragic vehicular homicide he may not have committed. Trouble is, Day's entire family seems to be conspiring to pin the crime on the poor lad, which only leads Nuala and Dermot to wonder who really ran over (three times!) Rodney Keefe in the parking lot of a ritzy Chicago country club. The O'Sullivans are a ruthlessly ambitious clan of South Side Irish, who consider themselves the cream of the Irish-American community. The sensitive Day has always been something of a black sheep in the family---and perhaps a scapegoat as well. It's been ages since I picked up an Andrew Greeley book and when I spotted this one on the library free shelf, I let myself go ahead and spoil myself. I'm always telling my boys to make good choices and I'm pleased to say that I did by following my gut. As always, the characters delighted me. This is book 8 in the series, but don't let that stop you from reading it if you get a chance. It works perfectly as a standalone. I loved the addition of Day to this book! He's the perfect project for Nuala and crew! I do, however, have to report that the switching between the Father Lonigan "mystery" and the modern happenings did throw me off. I couldn't, for the life of me, figure out the connection between the two events and since the mystery isn't revealed until the very end, it just felt as if I were reading two separate books. That being said, both were enjoyable! So, in conclusion (I'm feeling fancy today! 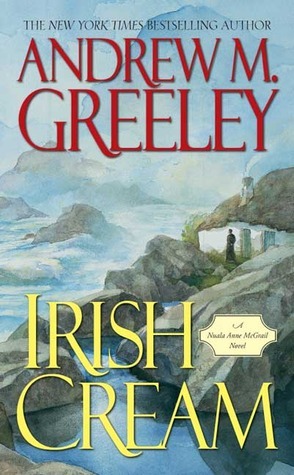 ), I really do recommend any of the Nuala books written by Andrew Greeley. They're all delightful. Well, at the least the ones I've had the joy of reading have been. I'd say they're the perfect curl up under a blanket and lose yourself in a story type of book.